August PROMOS have got me like 😍 🙌 😍 🙌 😍 with all the things My family needs! There is something in here for everyone. 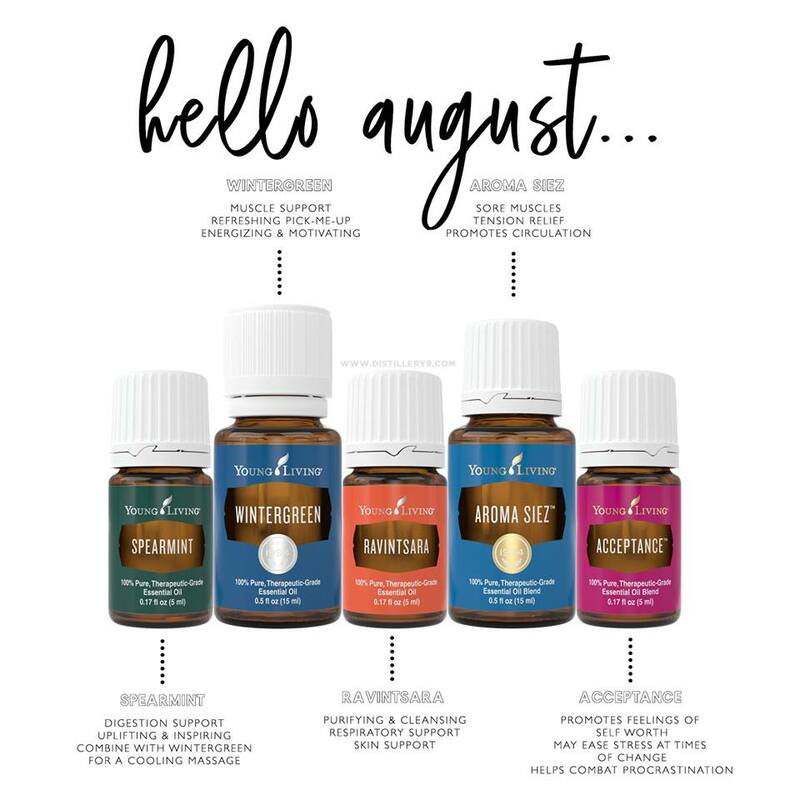 Accepting the end of summer and heading right on into fall with these oils growing our wellness arsenal. You ready to hear what we are getting for FREE?! -milder than peppermint, great for kids (doesn’t feel as “hot”). -DIY chest rub with a few drops of Ravintsara, Copaiba, Frankincense, and Thieves with some coconut oil and you are ready to go! -good for all things MUSCLE related. -aromatically, Wintergreen stimulates and increases awareness on all levels of the sensory system. -blend of Basil, Marjoram, Lavender, Peppermint, and Cypress -perfect for long car rides or flights – Your legs will thank you. -acceptance stimulates the mind, compelling us to open and accept new things, people, or relationships in life, allowing one to reach a higher potential.